An exploding senior population is tipping the scales of housing developments to meet their active lifestyle demands! Once a marginal niche, senior housing has become a well-established sub-sector that combines aspects of mulitfamily, medical care, and hospitality. A tidal wave of seniors are here, and more are coming! It is predicted by 2030, one in five people will be at least 65 years old. Overall, senior housing is being built with more amenities to fit the active lifestyles of today’s seniors, and communities are popping up everywhere! More seniors are staying in their communities, finding that being close to grown children and grandchildren is more important than warm weather. Chickahominy Falls: Cornerstone Homes’ lastest development in Hanover is the area’s first Agri-Community, and will be home to a wide variety of over 400 new 55+ age qualified homes and world-class health, wellness and recreation amenities. Woolridge Investment Co., fronted by developer Don Balzer, Jr. is looking to rezone 120 acres at 5500 Woolridge Road for a development that would include up to 215 homes, a 115-bed assisted living facility and 15,000 square feet of primarily medical office space. The $14 million project would fill a wooded tract along the north side of Woolridge between Fox Light Parkway and Spring Creek Baptist Church. 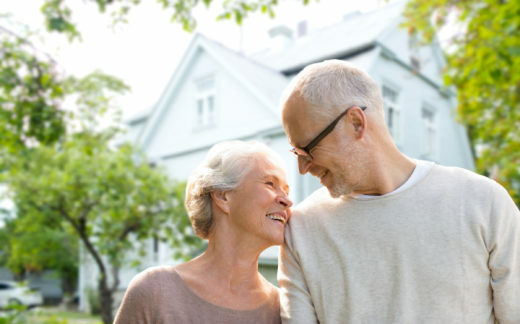 Summit at Magnolia Green is a new Life Plan retirement community in the Richmond market. The concept revolves around active, healthy aging and staying connected with access to clubs, activities and fitness options. Tuckahoe Pines – A $30 million retirement community has been given approval for development in Goochland County. It will be a 130-unit development that will rise at 12330 Patterson Avenue, with plans for a spring of 2020 opening. Senior housing will be a booming business for years to come. If you own a business and need help with an exit strategy for your real estate, please give us a call!